These are quotes from the wonderful blog by Dizzy C. Dizzy is the most generous supporter of indie authors everywhere and works really hard to give them maximum exposure and encouragement. I'd forgotten to check back for replies so was really delighted to find these lovely comments on Daffodils. Here's the link to Dizzy's blog - highly recommended for all readers who want to connect with great books. 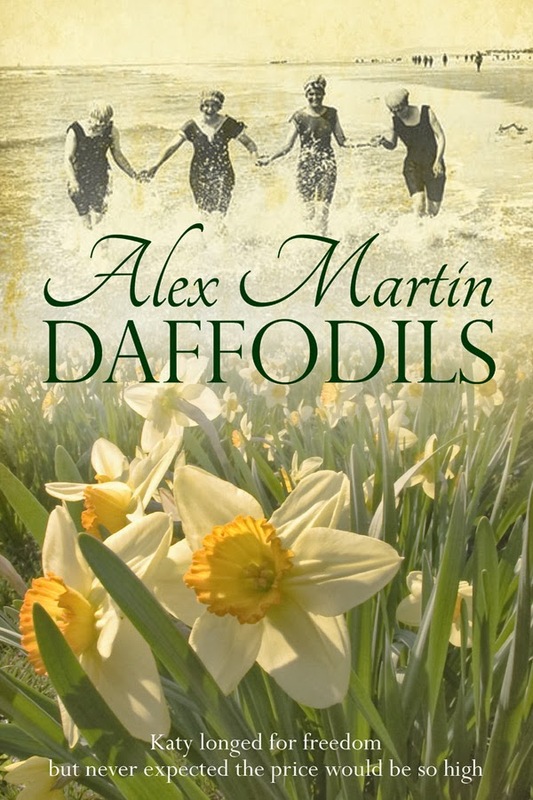 Long excerpts from Daffodils are displayed on Dizzy's blog if you want more of a taster than you get on www.amazon.com and www.amazon.co.uk but be warned! there are SPOILERS!!! "An interesting era. I was also immediately drawn by the cover. Put me in mind of WWI poppy fields and men going across no-man's land - changed to women and daffodils: got the brain working, so many images and a new viewpoint. Sounds like I'm talking twaddle, but I know what I mean. best of luck with Daffodils. This is the first reaction to the excerpts on Dizzy's Blog post by Carl Plummer." Well observed Carl! That's exactly what I was aiming for with the cover. The men who served during the Great War (silly name) suffered so much and died in such numbers that the vital role women played at this crucial time in our history is often overlooked. Although this story is full of dramatic history on a global scale, it is also a tender love story about real people. Thank you so much for your interest. This is a story that just begs to be read, the writing delightful and the tension stretching across each page. Thank you so much Guernsey Girl. I was just checking back through Dizzy's wonderful book blog and was delighted to find your remarks. I am thrilled with your words. They have made my day. I hope you felt interested enough to go on to read the rest of the book and, if so, that you enjoyed it. Great to meet you here and so sorry it's taken me ages to spot your reply!